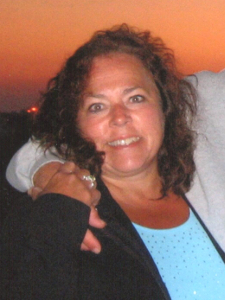 ROTTERDAM – Deborah Ann (O’Connor) Marino, 65, of Rotterdam, NY, passed away January 21st 2019, surrounded by 3 generations of her loving family members and friends, at St. Peters Hospital in Albany, NY. Even her beloved dog, Rockne, was able to be with her at the hospital during her final days, which brought her tremendous comfort and happiness. Debbie was as strong as she was unselfish, positive as she was generous, loving as she was loved, and will be deeply missed by everyone who knew her. Debbie was born on February 24th, 1953 in Albany, NY to Marian and Francis O’Connor Jr. of Albany, NY. Following graduation from Mercy High School, class of 1971, her kind-hearted, caring and compassionate nature inspired her to earn a degree in nursing from Albany Medical Center in 1974. Deb went on to help countless children in the pediatric ICU and NICU at St. Peter’s Hospital in Albany, NY. As the second of six children, Debbie played a significant role in her younger siblings’ lives – they remained of utmost importance throughout her entire life. O’Connor family gatherings are a frequent occurrence, Debbie treasured each one and was often among the last to leave a party. Her nieces and nephews loved her warmth and enjoyed the countless stories she had to share. On September 28th 1974 Deb married her high school sweetheart, Robert J. Marino, they shared 48 wonderful years together. While Debbie continued to take care of anyone and everyone around her, she eventually gave up her nursing career and devoted her life to her family. She and Bob had 3 children, which she raised while also serving as the office manager for the family company, Acme Business Systems. Nick, Allie and Mark were the light of her life, which was made immensely brighter by her 6 grandchildren. Nothing made “Nana” happier than spending time with her entire family and singing to her grandchildren, and of course her “grand-dogs” Kasey, George & Eski also held a special place in her heart. Deb truly enjoyed and tried to experience everything life had to offer. From wildlife, flowers and the beaches of Cape May to music, arts, history, sports, cuisine, martinis and wine, she was always smiling and enjoying the moment. In addition to her 3 children, she also raised a Cocker Spaniel, 4 Shetland Sheepdogs, and 2 Canaries. She always provided food and shelter to wildlife in her backyard and was an avid bird watcher – cardinals were her favorite, although she had the knowledge to identify many different birds simply by hearing their song. Just around the corner from her bird feeders lies her extensive rose garden, boasting nearly 60 different types of rose plants. She loved the beaches of Cape May NJ, which was her favorite travel destination and get away. She enjoyed seeing egrets stroll through the shallows and was always excited to see dolphins frolicking and jumping just beyond the surf. Deb was also an extremely generous and giving person. She loved providing for others, whether making one of her delicious soups or knitting a custom blanket, she was always giving and doing things for others. Deborah is survived by her loving husband, Robert J. Marino, 3 children; Nicholas R. Marino (Melissa), Allison M. Marino and Mark J. Marino (Paula), 6 grandchildren; Emily, Natalie, Joseph, Madeline, Angelina & Jack. Also survived by her mother, Marian O’Connor, siblings Kathy Ryan, Frank O’Connor III, Judy O’Connor & Tom O’Connor. She is predeceased by her father, Francis O’Connor Jr and her brother, Joseph P. O’Connor. Calling hours for friends & family will be Thursday January 24th from 4:00 to 8:00 p.m. at Hans Funeral Home, 1088 Western Avenue, Albany, NY. A mass of Christian burial will be celebrated on Friday January 25th at 10:00 a.m. at Saint Madeline Sophie Church, 3500 Carmen Road, Guilderland NY and Memory Gardens Cemetery, 983 Watervliet Shaker Road, Colonie, NY. Debbie’s family would like to extend our sincere gratitude to the entire team at St. Peter’s ICU, ALS clinic and Hospice Inn for their tremendous care. One of Deb’s final wishes was a cure for ALS. Donations in her name can be made to The ALS Association, Gift Processing Center, PO Box 37022, Boone, IA 50037-0022; or to the St. Peter’s Hospital ALS Regional Center, 19 Warehouse Row, Albany, NY 12205. To leave a message of condolence for the family or obtain directions to the funeral home, please visit www.HansFuneralHome.com. Click here to view Debbie’s resting place in Memory Gardens, Colonie, New York. Please accept our deepest condolences Bob, Allie, Nick, Melissa, Mark and Paula and to your entire Marino Fmaily. Debbie was such a smiling, bright, wonderful light in our world, and we are better for knowing her warm embrace. We love you all. We love you Deb. You will be so missed. by all and will be forever in our hearts. Dear Bob and the entire Marino Family: We were deeply saddened when we heard the news of Debbie’s passing. We feel blessed and honored to have been her neighbor and known her. Deb shared her compassion, kindness, love and joy with everyone that was lucky enough to know her. May she rest in peace, God bless. Our deepest condolences and love. So glad I talked to Deb at Christmas time she was a great person and loving Wife and Mother. What a great smile and so full of fun. I will miss her. Dear Bob, Nick, Allie and Mark and to your families, I am so truly saddened by Debbie’s passing. We never got to know each other well, with our first meeting at Mark and Paula’s wedding. It was a joy to meet her. It just got better at John and Lauren Kuhn’s wedding. She exuded joy and happiness! I was surely hoping that we would get to spend time together sometime in the future. I send hugs and prayers to each of you. May God wrap his arms around each of you and comfort you during this sad time. And I would bet that Debbie is dancing in heaven and bringing joy to all already there! Our deepest condolences for your loss. Sending prayers and loving thoughts to you all. My condolences on your mothers passing. My thoughts and prayers are with you and your family. We are so very sorry to hear of Debbie’s passing. Her character was full of so many positive attributes it’s difficult to acknowledge just one. I will remember her with the loving heart she gave to everyone and everything she touched. May the days ahead be filled with kindness and patience as you allow yourselves to grieve her loss; remembering a multitude of happy memories and treasured moments… she will be dearly missed by all. Allison my friend i am so very sorry for your loss. My sincere condolences go out to you and your family. If there is anything you need please don’t hesitate to call or message me. Know that your mom is in good hands and no longer suffering. Sending thoughts and prayers your way my favorite. Our deepest sympathy on the passing of your mother. We feel blessed to have met her at John and Lauren’s wedding. May you find comfort in knowing how much she loved all of you and knowing that she will be watching you from above. Please know that you are in our prayers. May God bless such a wonderful family now and always. Our deepest sympathies to you all. Deb was a special person, and we know that even while we miss here here, she is in a good and happy place now. PS. Don’t know if there is any connection or not but in 2015 I lost a friend who was 93—Marian , who was married to Francis O’Brian from Gingerbread Lane, Albany………I loved and miss her so much!!!! !